December 2, 9 am – Preschool Story Time – Join us for stories, a craft and maybe a song! December 3, 2 – 4pm — Holiday Tea. 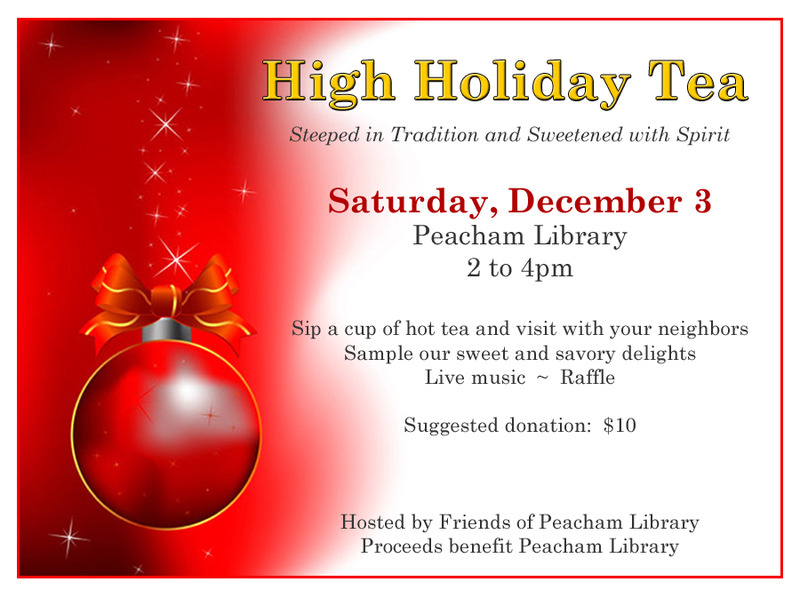 Our third annual holiday tea—sweets, savories, tea and music in the warm library. December 10, 10am – noon — Santa Crafts and Latkes – A family friendly event with crafts for young and old, a visit from Santa around 11 and then a feast of home-made latkes. We at the Gilmore Gallery at Peacham Library are looking for art to display in our upcoming gallery shows in 2012; and since you are already a valued member of the library’s community, we thought we’d reach out to you first. If you, your neighbors or friends have artwork you think we should be interested in, please email our new gallery manager, Craig Harrison, as soon as you can (just click on his name). We realize art can take many forms, so don’t be shy — we’re just as interested in textile arts, pottery and jewelry as we are in paintings, sculpture and photography, as well as more unorthodox media – 2012 is a blank slate (or more accurately, several blank walls and an empty space), so this is your chance to shape what your community art gallery looks like for the upcoming year. We’re currently looking to assemble our first show for December 1st, so don’t delay.